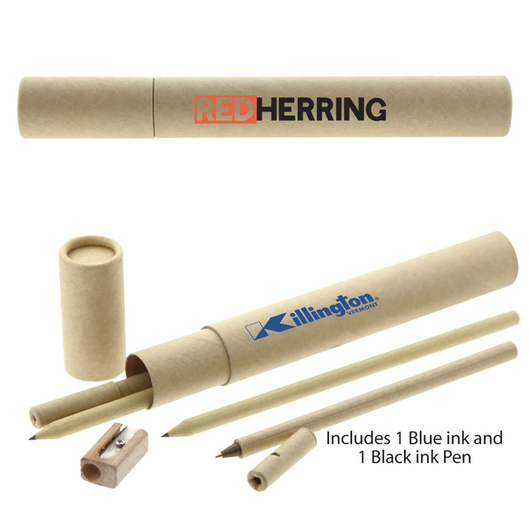 A paper tube and pencil set that features your printed logo or branding message. Make the eco choice with some of these paper stationery sets. 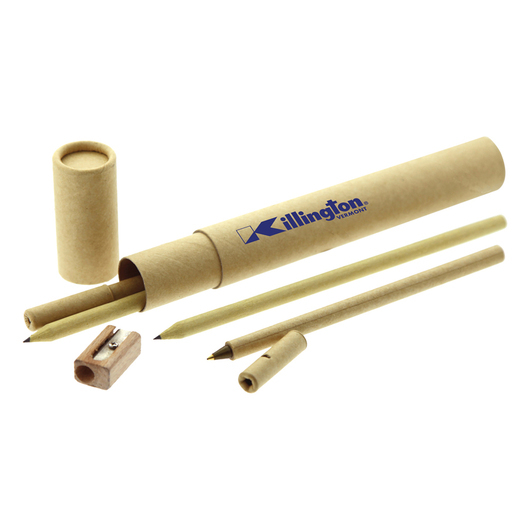 The set includes 2 pens with black and blue ink, a pencil sharpener and 2 pencils all in a compact and easy to carry paper tube. 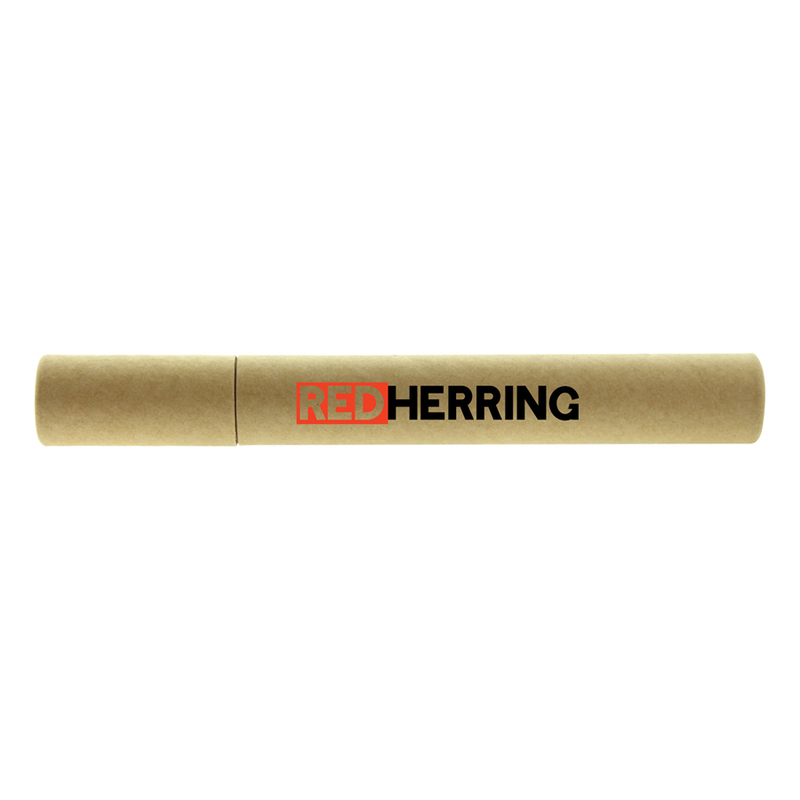 Decoration is located on the tube, allowing your branding to stand out from the crowd and get noticed.